Stephanie Flanders looks at the radical free-market economist Friedrich Hayek's solution to the problems of capitalism - set it virtually totally free from state control. According to conventional wisdom, today's global financial crisis happened because markets were not regulated enough. But what if the opposite is true? That it was excessive government meddling in the markets that caused the crash? 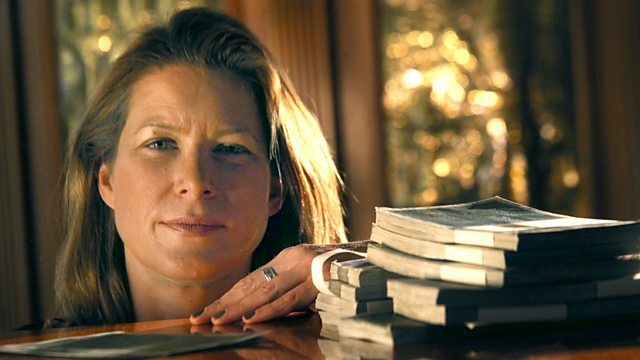 In Masters of Money produced in partnership with The Open University, BBC economics editor Stephanie Flanders examines the extraordinary influence of three intellectual titans - Keynes, Hayek and Marx and shows how they shaped the 20th century and continue to have a huge impact on our world today. Stephanie turns her attention to the radical free-market economist Friedrich Hayek. Travelling from London to Vienna and America, she unravels the extraordinary life and influence of the only free-market thinker whose reputation has grown post-crisis. With contributions from Central bankers, politicians and a Nobel laureate, she explores why despite his enormous influence, no government has ever dared to fully implement Hayek's solution to the problems of capitalism - set it virtually totally free from state control. Can you spot an invisible hand and unravel the paradox of thrift?